I’m wondering whether you have seeing VMWARE video before about this hot-add feature? It’s so cool that a guy click mouse couple mouse, here it is!!! But is this so easy just like video? Let’s find out. Host:I’m testing these two new features of vSphere 4.01.I’m currently having two ESX host. ESX3.5 and ESX4.01. VM: 2 VMs. W2K3R2,32bit. W2K8R2std. 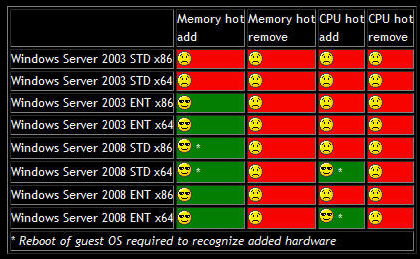 I want to hot-add new memory to my vms. In terms of having this functions, there are lots of restrictions . 1. VM hardware version must be 7. Well, this is vSphere function. Of course, you need to check out hardware version. so this is verison 4. What you need to do is to shutdown server. 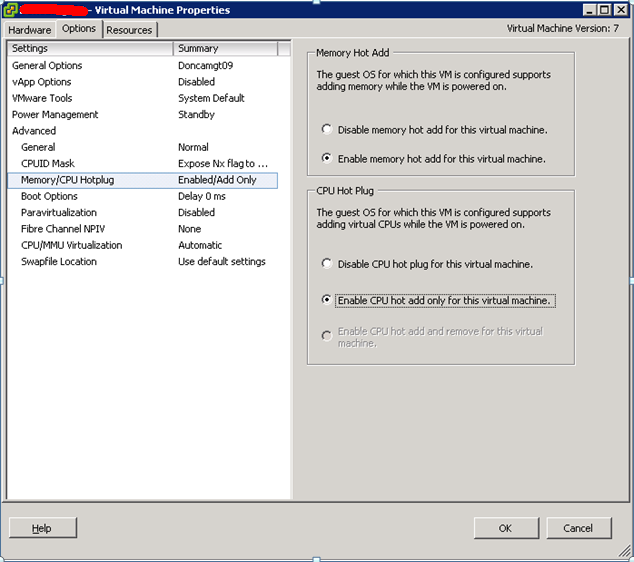 And right click VM and choose upgrade virtual hardware. 2. You must double check your license. Unfortunately, not every license can have this function. So if you have vSphere Advance, Enterprise, Enterprise Plus (or Evaluation License), then you do hot-add. so you need double check your license. 3. Hot-add function must enable. In default, a Hot-add function is not enabled. So you have to do it for each VM. And again, you need to do it when VM is power off. 4. It also depends on your VM OS!! Yes, it’s called, hot add. It’s not hot-add and use! Vmware can add new hardware to VM, does your OS support it? The answer is… not necessary. This is what it looks like when I tried to install hot memory to my w2k8r2 std. As you can see, It installed additional Memory module. 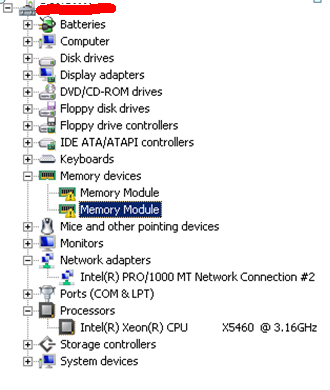 (the biggest size of memory you can add depends on your running host memory). so you have to restart your VM to actually use it. Here is the list of all MS OS supported. Well, it’s not VM’s fault, isn’t it?